⑤Two power supply methods mustn't be used at the same time, you need to choose only one method to use. Meanwhile, pedal and switch button can't be simultaneously used. It's necessary to read the manual and operate according to the manual before using. It can't sew the over-soft, over-thin or over thick clothes, certain fabrics like thick jeans, leather. 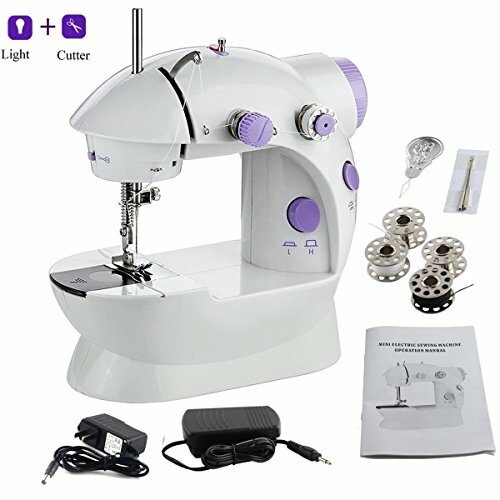 If the line is stuck, please stop working immediately, loosen and adjust the thread, sew again till all is fine. If you have any questions about this product by AMLINKER, contact us by completing and submitting the form below. If you are looking for a specif part number, please include it with your message.